Semantic analogies deal with the dictionary definition of words. To prep for semantic analogies is the most straightforward of all the analogy types. Here are some tips that will make sure you’re prepared for the most common type of analogy on the MAT. The vocabulary that falls under the semantic category is the same variety of words we generally think of as vocabulary. These are terms like “temerity” rather than subject specific terms like “photon.” Flashcards are the standard for learning this type of vocab. I highly recommend using any pre-made flashcard set suitable for the GRE or the GMAT. These have roughly the same vocabulary as the MAT. 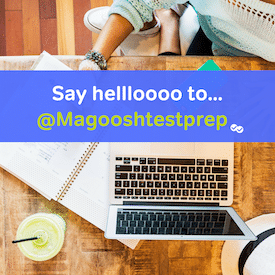 Magoosh has a free flashcard app for the GRE/GMAT. The flashcards have a built-in monitoring system that differentiates between words you have mastered and those you still need to work on. Whichever product you choose, flashcards should feature prominently in your studies. You may feel as though flashcards are enough, but the vocabulary you encounter in context is way more likely to be remembered. Not to mention, you will encounter a great many more words that you can convert to flashcards yourself using a site like Quizlet.com or index cards. There is also the added benefit of increasing your knowledge for the other areas of the MAT. Finally, and most obviously, you should practice as many semantic analogies as you can. These make up 28-31 percent of all the analogies on the MAT. I would like for all students to complete a total volume of around 600-800+ analogies before test day. This level of volume is what most students will find necessary for attaining serious improvement.